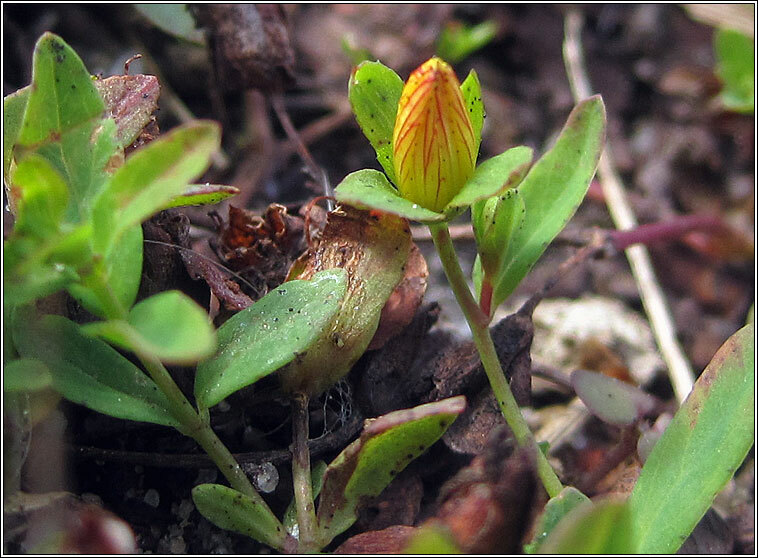 Habitat: Open ground on acidic heaths, tracks and paths and in woodland clearings. Sometimes found on semi-acidic heavy clay. 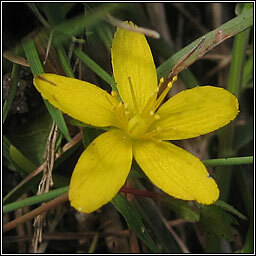 Red-tinged flower buds followed by small yellow flowers with unequal sepals and slightly longer petals. 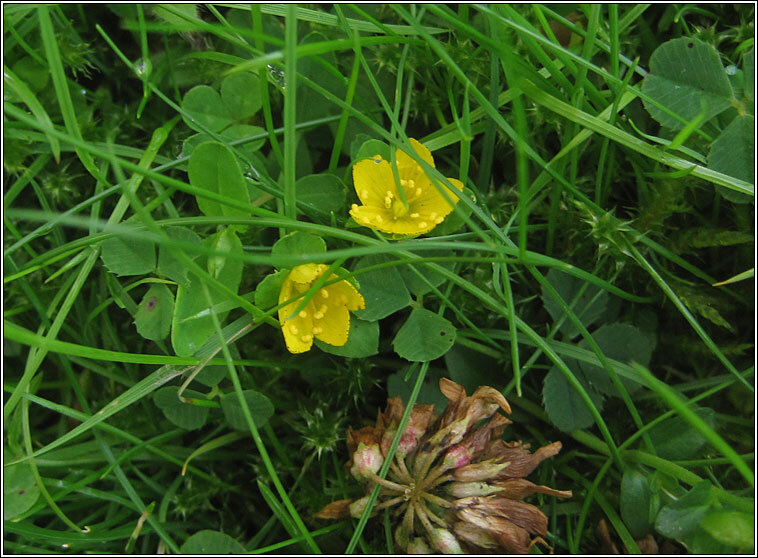 Oval leaves are opposite with translucent glands and small black glands on the leaf edges. 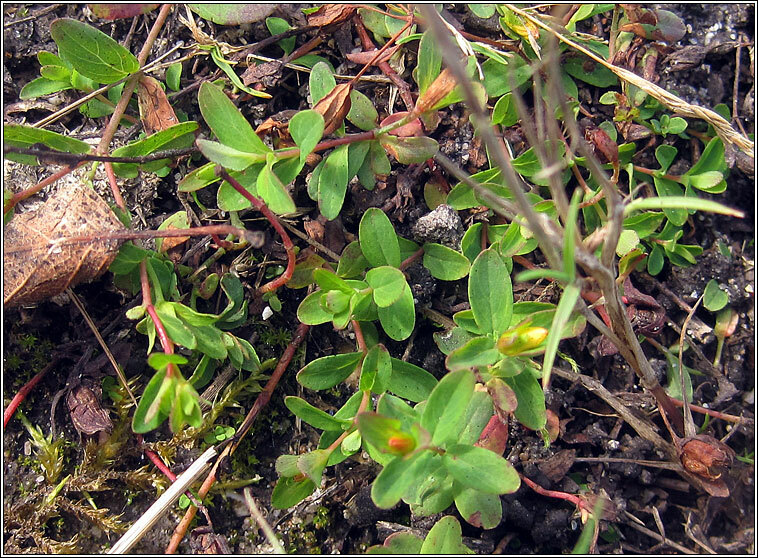 A hairless plant with many prostrate or trailing stems.